Meet The Dabbawalas of Mumbai! For anyone who has ever been to Mumbai, the Dabbawalas are a special class of people who everyone knows! 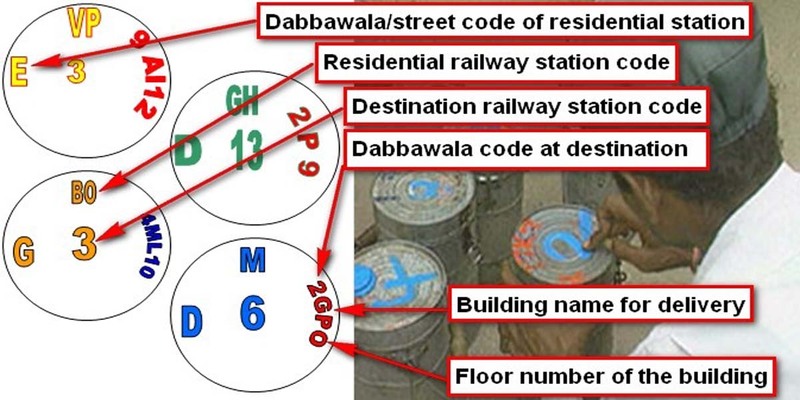 For the uninitiated though – Who is a Dabbawalla? Each day throughout the city of Mumbai, 5,000 of the dabbawalas deliver some 130,000 dabbas to offices throughout the metropolis. In the nearly 120 years of this service, the dabbawalas’ approach has remained consistent: a semi-literate workforce (the dabbawalas) pick up the filled dabbas from the households that prepare them and deliver the boxes to the requisite offices; they then retrieve the empty dabbas from these delivery points and returned them to the originating households, in order to begin the process again the next day. Roughly 260,000 transactions are completed within 6 hours each day, 6 days a week, 51 weeks a year, and operating at a quality level comparable to Six Sigma processes. Moreover, this operational excellence is accomplished in the absence of technology, such as computers or even cell phones. Stories – like the remarkable one that the Dabbawalas have, inspire teams to relook at their own paradigms with fresh new eyes. See the real Hero of Mumbai. (Mahalaxmi Dhobi Ghat) is a well-known open-air laundromat in Mumbai, India. The washers, locally known as Dhobis, work in the open to wash the clothes from Mumbai’s hotels and hospitals. There are rows of open-air concrete wash pens, each fitted with its own flogging stone. Called the world’s largest outdoor laundry, Dhobi Ghat is a very popular attraction among foreign tourists. The word Dhobi Ghat is used all over India to refer to any place where many washers are present. It is located next to Mahalaxmi railway station on the Western Railway’s Saat Rasta roundabout. It can be easily seen from the flyover bridge of Mahalaxmi station. In 2013, World Records India and World Amazing Records honored World Record Certificate to Dhobi Kalyan. >Why Dharavi is the heart of Mumbai? Dharavi slum was found in 1882 during the British Raj yet remains to be an iconic destination for the city lovers. Asia’s largest slum Dharavi lies on prime property right in the middle of Indian’s financial capital, Mumbai. Dharavi is much more than a historic area of Mumbai’s poverty. Most of these things are created innovatively, in very small spaces! We are pleased to welcome you to witness the hidden treasures of Mumbai. Our walking tours through the industries and residential areas of Dharavi shows the unique strengths, opportunities, and challenges of the community. Our aim is to raise awareness while dispelling the negative attitudes many people have about slums. The tour offers walking through narrow alleyways of Dharavi for 2.5 hours. The tour will then end with visiting a KumbharWada pottery colony, where visitors will get to have the unique glimpse of artisans creating all types of pots out of unfired, sun-dried clay. Some of the areas will be familiar if you have seen the film ‘Slumdog Millionaire’ as much of the film was shot in Dharavi. Private Tour: INR 6,000/- Rupees. You can bring a maximum of five people on your private tour. Morning Tour: Churchgate Railway Station Near Ticket Counter.